After a few days out of action Google have cleared my blog and opened it for action again. I guess it does at least show that Google do care about spam blogs and that they do actually check for these things. 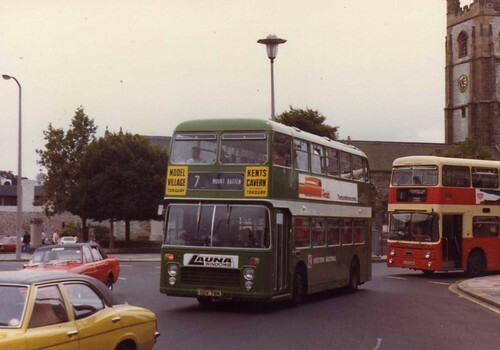 To celebrate I am thrilled to be able to post this photo from aecregent of 1078 ODV78M the prototype VRT series 3 which served in Plymouth for most of its life and was my favourite bus ever. It was probably the one bus that really got me interested in buses as I always kenw it was different to the others - so I had to find out more about it. The rest just grew from there. I believe that this bus is currently in New Zealand, it certainly was exported to New Zealand back in 1991 and was last listed in 2005. Rob Slys site for more.